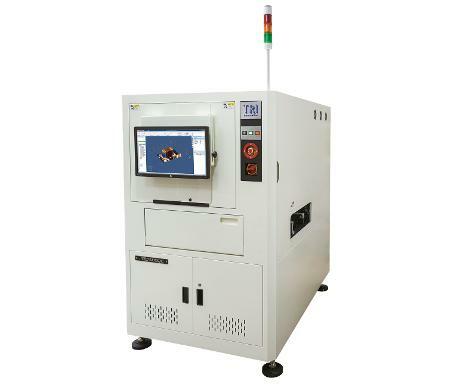 The TR7700QE AOI offers high performance 3D solder and assembly inspection by combining the next generation 2D and 3D technologies based on 4-way adaptive digital fringe pattern projection. Latest inspection software ensures quick CAD-based programming and features fully customizable templates for zero escapes on any PCBAs. 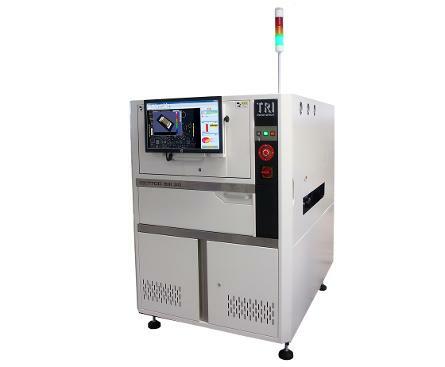 TRI's optimum 3D AOI solution offers robust 3D solder and component defect detection by way of multi-angle PCB inspection paired with blue-laser-based 3D profiling, delivering high inspection coverage. TRI's state-of-the art software solution with their third-generation intelligent hardware platform ensures easy programming and high accuracy. TRI’s ground breaking 3D AOI solution delivers the fastest hybrid PCB inspection combining optical and blue-laser-based true 3D profile measurement for the highest automated defect symptom coverage possible. Integrated state-of-the-art software solution and third generation intelligent hardware platform offer stable and robust 3D solder and component defect inspection and with high inspection coverage and easy programming.